Like nearly every other VPN provider, IPVanish has one set plan, with increasing discounts the longer you sign up for. Its prices are on the higher end of average, but you definitely get your money’s worth. It also provides a seven-day money-back guarantee, which provides ample time to test its service. For a limited time, you can also receive 20% off using the WAIT code. It supports a variety of payment methods, ranging from the widely accepted PayPal/credit card to the highly secure and safe Bitcoin. As already mentioned, signing up is a straightforward process, as it is with most providers, and if you’re using Bitcoin you’ll only need to provide your email address and a password. 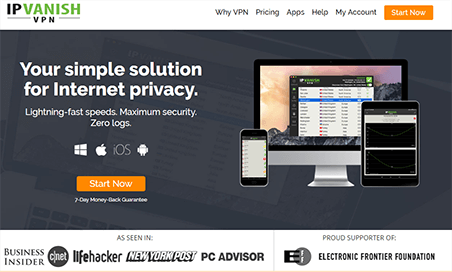 Unsurprisingly, IPVanish is one of the top VPN providers available. It has a Tier 1 network of VPNs with servers in a whopping 59 countries, and major countries such as the UK and US have multiple servers to help deliver some of the best speeds in the business. It’s also one of only a few VPNs to provide VPNs in more exotic countries around the planet, such as Egypt and Panama. Alongside this, it has a great team who provide top-end security and excellent customer support should you ever need it. It’s also implemented a full zero logs policy – not even connection logs – which is superb. For those subscribers who want to keep a check and balance on the availability of the services and the possible problems in the connection, a connection log is provided in the menu list that facilitates users to keep an eye on the usability of the service. Another helpful addition in IPVanish client menu is “IP Address Checker”; it facilitates users to check their IP address anytime they want to get connected with the new server, just to ensure whether the connection is perfect or not. Surprisingly, and slightly disappointingly, IPVanish doesn’t have 24/7 live support. It’s live support is available during working hours (EST). On the upside, it has a great support FAQ (with some of the best setup guides that we’ve seen) and an excellent Ticket Support system to supplement this. We found all its support team to be helpful and knowledgeable, and they were able to answer all of our requests with relative ease, though sometimes we had to press a little to get all of the information that we required. Its support forums are also very helpful and contain useful information and comment, both by users and employees alike. Lag Assassin is renowned gaming acceleration service which connects users’ with best routing channel that assist in minimizing ‘LAG’ hence providing you with competitive advantage and ultimate gaming pleasure. IPVanish established a partnership with Lag Assassin; both services own Tier-1 Global Network which ensure faster network connection, minimize disconnection and advance lag spike. This partnership enables IPVanish subscriber to avail better online gaming connection then ISPs. Since their routing channel is shorter and transition systems are much faster there will be minimal throttle in the service. Uninterrupted connection which runs in the background allows subscriber to dominate on their opponent through greater speed and stealth. Few of the popular games supported are World of War Craft, Diablo, Tera, EVE Online, League of Legends, World of Tanks, Guild Wars, Aion, Star Wars, many more. ‘Connected’ message will be displayed below your Connection Name. To check your VPN session swipe down and go to ‘Notification Area’. Find a Key shaped icon and locate connection name. Your current status will be shown after it; counter here will indicate the duration of VPN session. 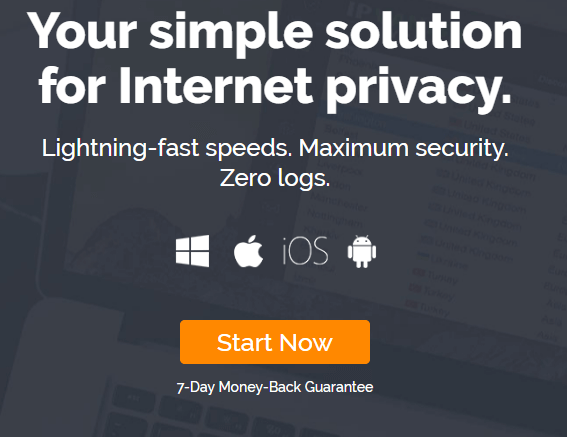 Now, you can freely browse the internet – your online activities are hidden from hackers, spammers and monitoring agencies. IPVanish VPN truly excels at everything; starting from managing their own Tier-1 VPN network, it offers wide range of VPN servers strategically distributed throughout the world. Their speed is phenomenal especially on high-end encryption protocol like OpenVPN. They offer dedicated apps & client software for all popular platforms Windows, Mac, Linux, iOS, Android, etc. plus IPVanish subscribers can manually setup VPN on any device with the help of tutorials provided on official website. Also, they offers 7-days money back money guarantee which ensures that you got ample time to evaluate their performance by yourself. The pricing is really good. Plus, the speed is beyond expectations. We highly appreciate that IPVanish services allow us to stay connected with 2 VPN connections at a time with the same account. IPVanish has spent the past 15 years and a massive amount of resources developing its VPN network. They are today a reliable, fast and secure global VPN provider. With a global team of over 125 employees, they bring an expert and passionate approach in delivering truly world-class speed, security and reliability to its customers. In addition to being a fast VPN provider, they’re also the fastest growing VPN on the planet. Last month alone, they added 17 new servers in 6 different countries at no added cost to customers. *All plans come with a 7 day money-back guarantee.